Currently our two Pet Partners™ registered therapy dogs, Liam and Leonidas, visit the traumatic brain, acute psychiatry, and post-traumatic stress disorder wing at the Veterans Administration Hospital in Topeka, KS. We are fortunate to teach a structured class to the post-traumatic stress wing, where we discuss the human-canine bond, what role it can play in our lives and in recovery, and how it can be an analog for meditation, introspection, and a vehicle to channel the skills patients learn from their doctors and social workers while in the program at the hospital. 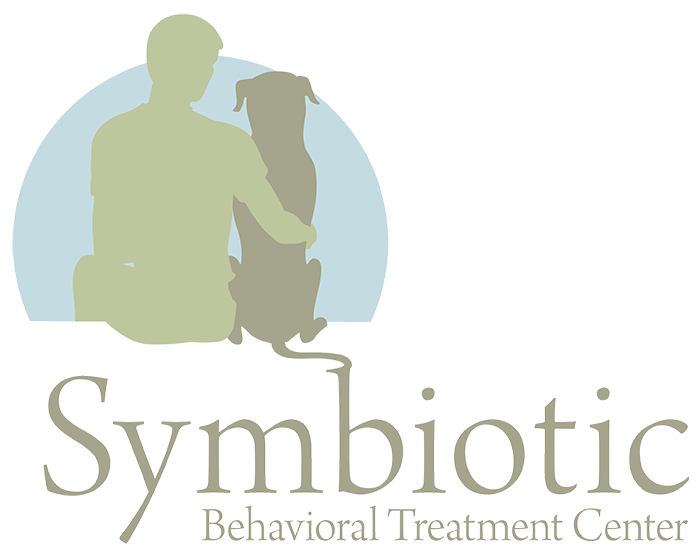 If you would like to bring our therapy dog program to your hospital or treatment center, please contact us at info@symbtioticbtc.org. Currently our registered therapy dogs visit elementary schools and high schools to educate students on the benefits of the human-canine bond, dog safety, and remedies for bullying, including empathy exercises. We are fortunate to participate in the Man’s Best Friend program at the Shawnee County Juvenile Correction Facility where we talk about stigmas and stereotypes, as well as rediscovering the bond that some juveniles may have lost. Liam was born in 2005. His mom was saved in a cruelty case and he was born in the municipal animal shelter. Liam grew up in a home with several other dogs and soon after his first birthday, his family knew he had a world of potential. Liam has his Canine Good Citizenship and is registered with the Delta Society’s Pet Partners where he and his handler (dad) tested out at the highest level consistently for the last six years. He loves kids, enjoys meeting brave veterans and also has an affinity for hearing stories about the “old days” from senior citizens. Liam has a calming energy and works well to comfort and win hearts. Liam has also participated in reading day, educational lectures at universities and police safety day. “Liam is a Scorpio and loves to learn new tricks. His favorite tricks are begging, speaking, nodding left, and sneaking up on his treats (although his very favorite trick might be trying to guess what trick you’re going to say before you say it). Liam even won “best trick” at a local humane society event”. Leonidas was born in 2008. Named after Spartan King, Leonidas. At only a few weeks old, he was abused and lost his rear left leg and the bottom half of his rear right leg. He was saved from abuse and began life with his family at a young six weeks old. Although he lost a limb, he has never lost his zest for life and loving people. 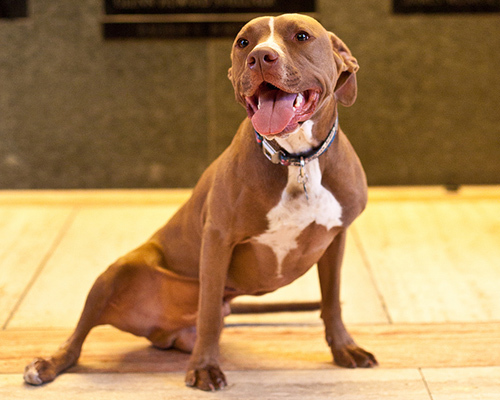 At a very young age, his family saw the impact their three-legged dog could have on people, and decided to test him as a Delta Society, Pet Partner’s visiting dog. Leo has been registered as a Pet Partner for the last six years and has tested out at the highest level with his handler (his dad). 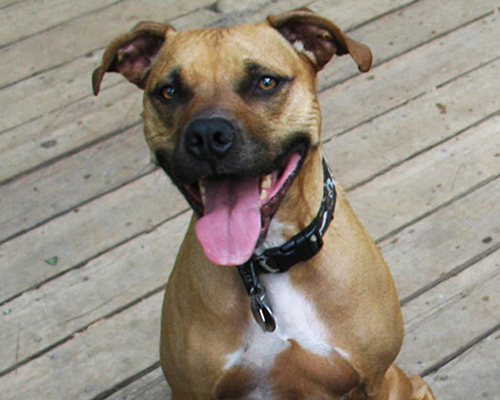 Leonidas greets every situation and person with a spirited tail wag and a big smile. Leonidas enjoys spending time with veterans in the post traumatic stress wing at the VA Hospital where his radiant energy and history as a survivor encourages healing with many veterans. “Leo is the happiest dog I’ve ever met. He is always up for a good play with whoever (or whatever) and likes to remind us that he has 3 legs (and only 2 paws) so the rest of us can keep up. – Anthony Barnett, Handler and Leo’s Dad”.